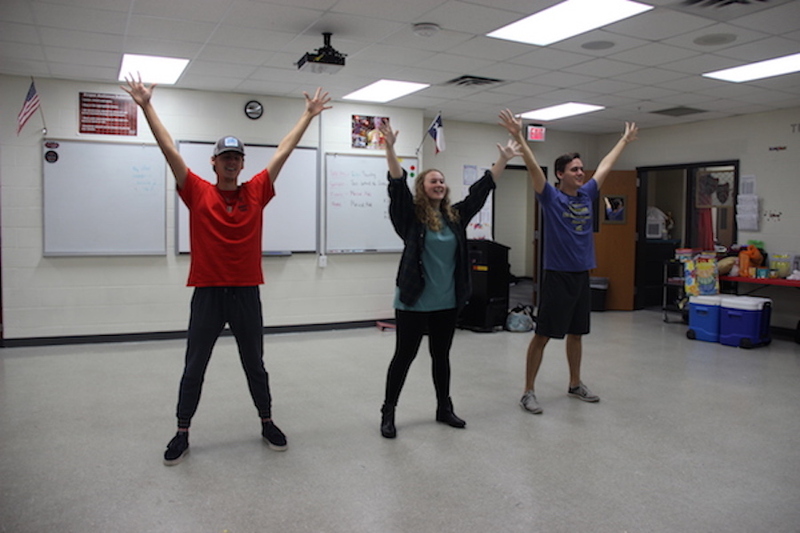 Coppell High School seniors Jack and Ty Dalrymple practice their kickline song “Lullaby of Broadway” with senior Allison Davis during their fourth period theater class on Monday. This song is part of the theater’s ongoing show, 42nd Street. Photo by Hannah Tucker. Stepping out onto the stage, they set up the props, take their place and wait. They take a collective breath as the curtains rise and their faces light up. 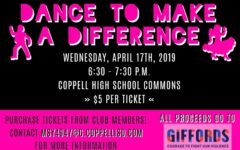 After almost 10 years of participating in theater, Coppell High School senior identical twins Jack and Ty Dalrymple will never forget the exciting feeling of performing on stage. Noticing their talent at a young age, CHS theater director Lisa Tabor appreciates their contribution to the program as a whole. A long time friend and president of the Drama Club, CHS senior Layne Allen has enjoyed getting to perform on stage with the Dalrymples. While theater has helped the Dalrymples grow in their acting skills, it has helped them to grow in their character as well. 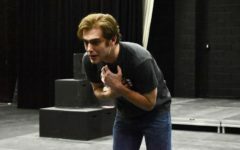 “Theater allows me to deliver important life lessons and getting to portray that through a character is so much fun,” Jack said. 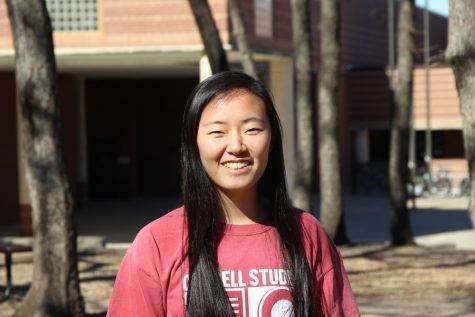 “It’s a huge part of my high school life and it’s made me the person I am today. It taught me to become fearless and let go of my worries over what other people think of me and through theater, I discovered who I really am. 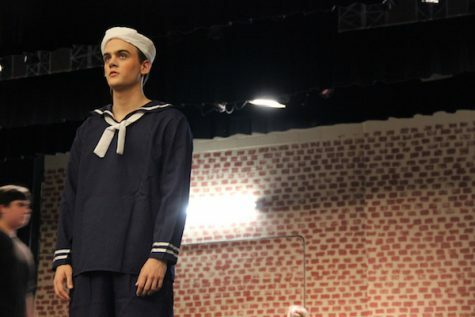 Coppell High School senior Jack Dalrymple practices as the part of Billy Lawler in the dress rehearsal on stage Monday afternoon for the Coppell High School Theater’s current play, 42nd Street. 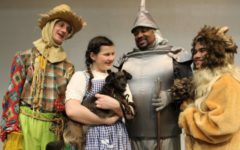 “Theater allows me to deliver important life lessons, and getting to portray that through a character is so much fun,” Jack stated, who has been a participant in theater since the third grade. Photo by Hannah Tucker. Although the two may have to compete against one another for a role in a play or musical, at the end of the day, both brothers are very supportive of each other. “Being together has taught us more than we can anticipate because going into auditions, we both have certain parts we want, but we always know that we will support each other no matter the outcome and we know it’s more important to be proud of one another,” Ty said. 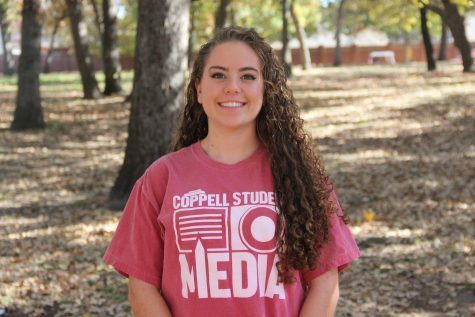 Close friend CHS senior Kara Williams loves watching them perform and has sat in the audience for all of their musicals. Beyond a simple extracurricular activity, theater has become a large part of the Dalrymples’ passions. As their senior year in high school passes by and they prepare for their final CHS musical, they reminisce on their theatric passion and all their time in the program has done for them. 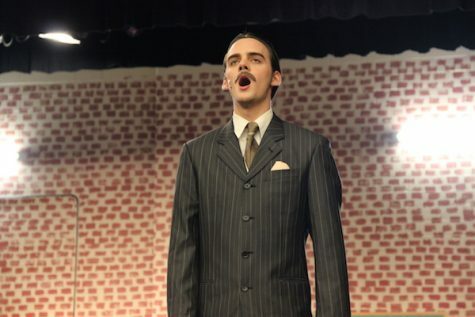 Coppell High School theater senior Ty Dalrymple sings a portion of a song from the Coppell Theater’s current musical, 42nd Street, as a microphone check before the dress rehearsal begins Monday after school in the theater. Ty and and Jack Dalrymple are both playing lead roles in this new musical, which will be premiering Oct. 29-30 and Nov. 5-6. Photo by Hannah Tucker. In the upcoming musical 42nd Street, Ty and Jack play the roles of Julian Marsh and Billy Lawler, the two male leads, respectively. While they won’t be pursuing theater as a career, the Dalrymple twins hope to keep up with it in the future.